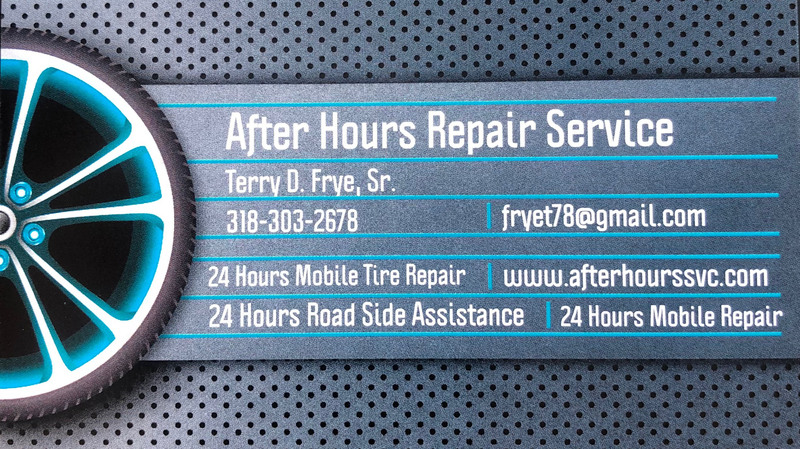 After Hours Repair Service is your resource for roadside assistance and mobile repairs in the Delhi, LA area. With over 25 years of experience, our mobile mechanics are able to get you back on the road in no time. You can be sure that we will provide you with the best roadside assistance in Delhi LA. Whether you need jumpstarts or roadside tire service, we will take care of you! We offer 24-hour emergency roadside assistance for any help you need with your car or semi truck. We are “After Hours Repair Service” for a reason, and we will arrive in an hour or less to help you with your mobile servicing needs. You will have a stress-free experience with us, and we will take care of any transportation or other needs you have while we work on your car or semi! Fast and friendly service! Up and running in an hour! Radiator belt replace and fluid levels replaced! Very Nice Man , quality work and reasonable prices. He doesn&apos;t try to ride the clock to get more money. The best way to describe this service is 5 stars.